← “Why?” …why do people do what they do?…. causes lead to effects….acceptable levels of risk? 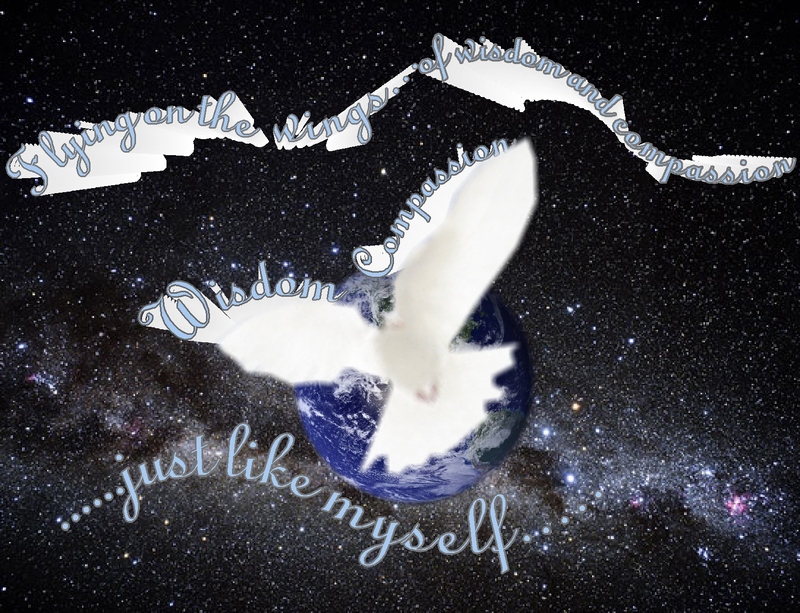 Flying on the wings of wisdom and compassion….just like myself…. The wing of “wisdom”… the perspectives and deep insights about the nature of life, the universe, people and their interactions. 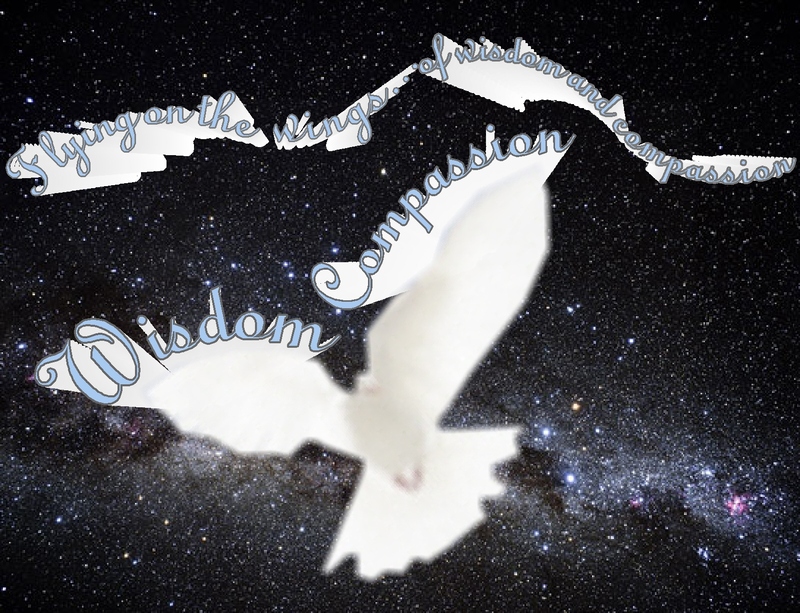 The wing of “compassion”… a sense of connection, love, kindness, acceptance and the heartfelt wish for all others to be free from unhappiness or suffering…the understanding that we all long for those positive qualities and are unhappy when we can’t, or don’t, get them. Wisdom, without compassion, might be aloof or dispassionate. Compassion, without wisdom, might be overwhelming. Together they enhance and balance each other. is the deep, heartfelt understanding that all people share a common bond…. that we all do long for common positive qualities…. I try to keep in mind…. 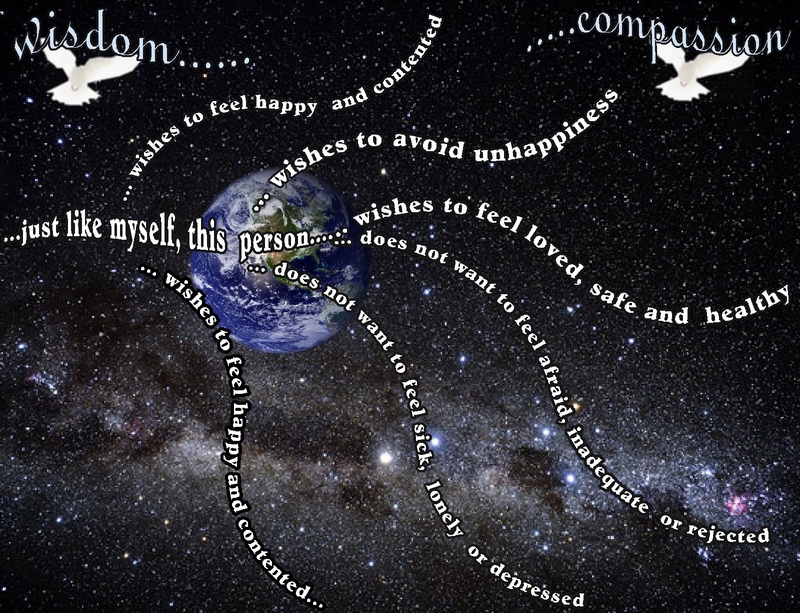 This entry was posted in Compassion, Life, Wisdom and tagged Compassion, Inspiration, Intention, Life, Mindfulness, Motivation, Spirituality, Wisdom. Bookmark the permalink. 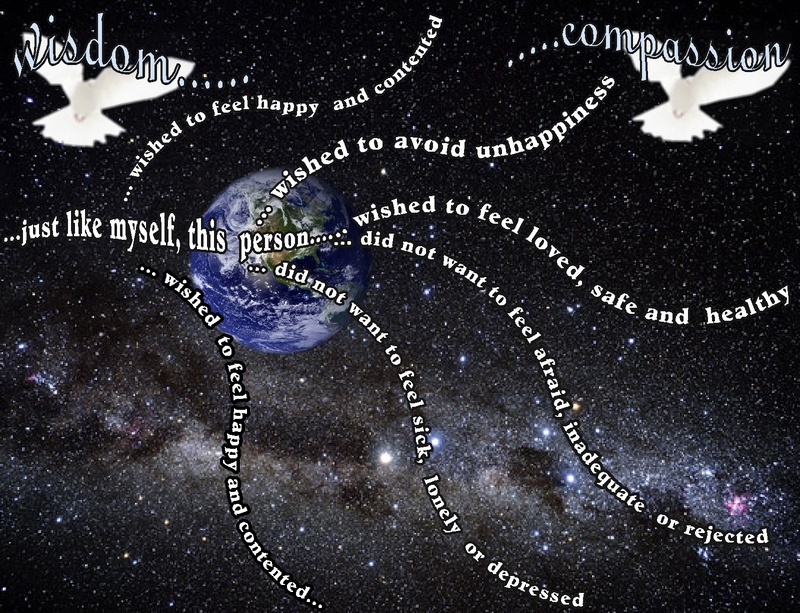 13 Responses to Flying on the wings of wisdom and compassion….just like myself…. I’m actually drained after making the pages and post… maybe because it’s so sad when others take negative actions…probably so. beautiful wisdom you’ve shared here. Every day, we can each take a step towards looking at ourselves, our world, and others, in this way. Kathy, I felt as I read your words that this came from a deep place in your heart. I love the analogy of wisdom and compassion being like the wings of a bird. I guess we all have had the emotionally uncomfortable experiences of someone lashing out; they may be struggling with their own world and are not perceiving from a place of love. I really like the idea of balancing wisdom and compassion…I find it helpful. And I do find that using that perspective of realizing that no one wants to be struggling to be helpful when I’m actually with or around people who might be lashing out…or when I’m listening to the news…both of which I try to avoid, as much as possible. you’re very welcome…I find that accessing this perspective can be helpful. When I think about how much I want some of those, and don’t want some of them.. it helps me keep in touch with that bond of common humanity…I guess that’s part of compassion. This is an excellent post. I liked this post very much. All things are described in very excellent way. In my eyes you should keep on such kind of postings for us. In future I would like to come here again for some new and more information.